Environmental Protection Agency Administrator Scott Pruitt attends a news conference at the EPA in Washington, on his decision to scrap Obama administration fuel standards, April 3, 2018. WASHINGTON — Scott Pruitt’s Environmental Protection Agency said Monday that the burning of biomass, such as trees, for energy in many cases will be considered “carbon neutral” by the agency. But the consideration of biomass as carbon neutral is contentious among scientists, who fear that forests, once cleared so that their wood can be used for energy, may not grow back as planned. The contention that burning wood for energy is carbon neutral rests on the idea that trees pull carbon out of the air as they grow. Therefore, while burning trees releases carbon dioxide emissions into the air, carbon will be pulled out again if the trees grow back. This suggests that burning trees, or wood chips, for energy can be considered a renewable and sustainable energy source. But it quickly gets more complicated, which is why the carbon neutrality of biomass has been so hotly debated by some scientists. The EPA’s Science Advisory Board had not completed deliberations on the matter, and the agency’s policy memo released Monday acknowledged that the board had determined in 2012 that “it is not scientifically valid to assume that all biogenic feedstocks are carbon neutral,” but rather that any such determination requires further analysis. One is that, while carbon dioxide emissions from the burning of wood go into the air immediately, trees take decades or more to grow back. So if anything happens to interfere with their growth, such as changes made by forest owners based on economics or other factors, the emissions might not actually be “removed” from the air again. Yet another consideration arises if wood products are shipped long distances before being burned — for instance, to Europe, which burns a great deal of wood for energy. The energy used for shipping adds to the total greenhouse gas emissions of the entire process. The forest products industry and private-forest holders celebrated the EPA announcement. The designation of wood-burning energy as carbon neutral could make it easier for the industry to compete with fossil fuels and bolster their calls for deregulating biomass carbon dioxide emissions so that they are not subject to some provisions in the Clean Air Act. Should a new administration revive former President Barack Obama’s Clean Power Plan, or something like it to curb carbon emissions, this new policy means wood energy would be treated like solar and wind power — since in the EPA’s eyes all three are zero-carbon sources of electricity. Across the Atlantic, European countries are trying to curb carbon emissions to meet promises made under the Paris climate accord, unlike the United States under President Donald Trump. But even there, European Union policymakers have already declared wood energy carbon neutral. The loophole has led to a flourishing trade by which North American trees are chopped down, compressed into pellets and shipped to Europe to be burned. 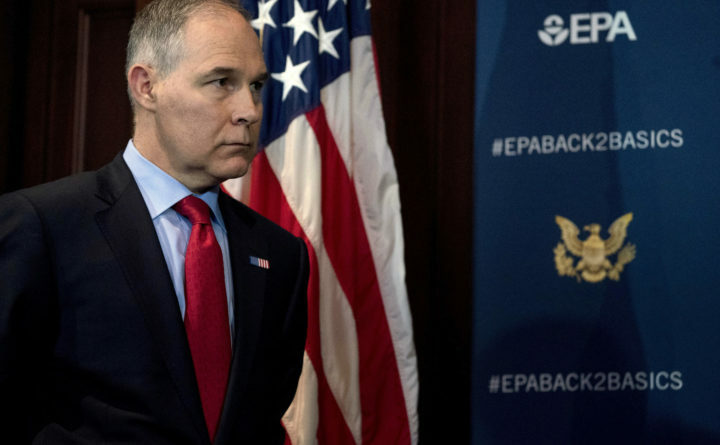 Still, Sami Yassa, a scientist with the environmental nonprofit Natural Resources Defense Council, said the EPA’s announcement Monday is in line with many of the other pro-industry stances Pruitt has taken.